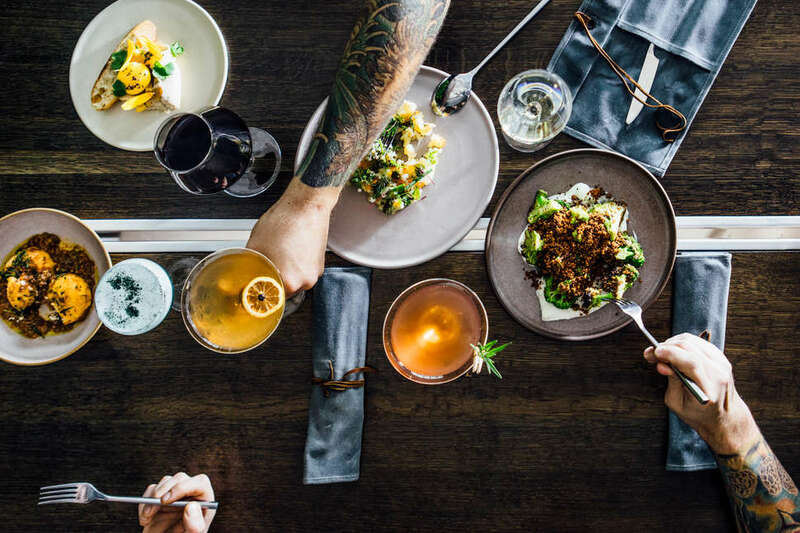 Pittsburgh’s rise as a national dining destination continued this year, with dozens of notable new restaurants opening in neighborhoods across the city. From a taco spot with quick counter service to an accessible-yet-refined French bistro, all the new restaurants that caught our eye this year have one thing in common: a totally genuine point of view. In a city that appreciates a no-BS attitude when it comes to food and dining, authenticity is the one ingredient needed to make a restaurant succeed here. Here are the best new restaurants in Pittsburgh of 2018. Richard DeShantz has been busy. His Richard DeShantz Restaurant Group (which includes Butcher & The Rye, Pork & Beans, Täkō and Meat & Potatoes) opened two restaurants this year, both of which are among our favorites (see Fish nor Fowl below). Poulet Bleu is an elegant addition to Lawrenceville, with a well-designed dining room and a restrained menu of French bistro classics, including an incredible French onion soup with a well-layered flavor profile. 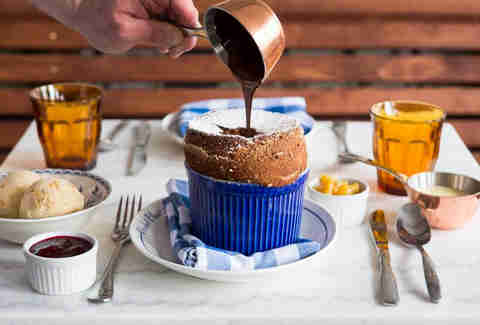 The service is inviting and attentive, and the restaurant’s dessert menu (including a perfectly prepared chocolate souffle and fried beignets with crème anglaise) is well worth a look. Driftwood Oven started as a mobile pizzeria, serving fresh, wood-fired pizzas all over the city since 2015. 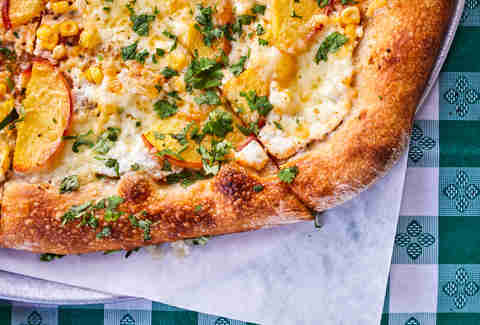 The opening of Justin Vetter and Neil Blazin’s brick-and-mortar earlier this year was celebrated by fans of their naturally-leavened sourdough pizzas; all of the breads and pizza doughs are hand-mixed with organic flours and a sourdough culture, and the mozzarella is hand-pulled daily, with curd made from grass-fed cow’s milk. The menu is updated daily to include local, seasonal ingredients that come from a variety of western Pennsylvania farms and small-batch producers. 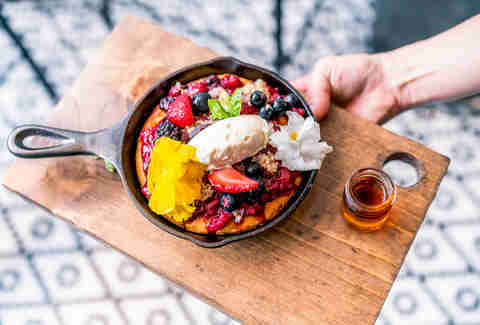 The third restaurant in Trevett and Sarah Hooper’s Good Faith Restaurant Group is the duo’s most accessible restaurant, offering quality breakfast and lunch options made from the locally-sourced ingredients that are used at PFB’s sister restaurants, but for a much lower price point. The small menu features down-home comfort food favorites, like buttermilk pancakes (a must for breakfast), and salt rising bread, served toasted with house-made jelly or jam. More adventurous diners will enjoy the restaurant’s wide array of side dish options, including mujadara and pickled beets. Pie for Breakfast also features a full bar, with an inventive cocktail menu and Prosecco on tap -- and yes, pie fans, you’d be well-advised to order at least one slice of the restaurant’s already-famous vinegar pie, even for breakfast. Where has Duncan Street Sandwich Shop been all our lives? That’s what we asked ourselves the first time we walked into this unassuming spot in Millvale, opened by the team behind the super-popular underground supper club, Duncan Street Dinners. 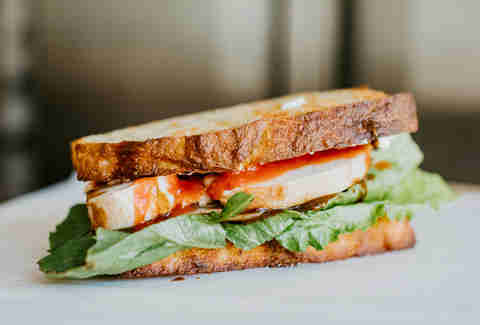 The sandwiches here are a revelation, with complex and layered flavor combinations. The "Everything" Pork, a two-handed affair, is a sandwich standout, with roasted pork, "everything" seasoning and a house-pickled red onion jam, but the shop’s side dish offerings, which change regularly, aren’t to be missed. We’re particularly enamored with a bean dish that recently made it on the menu: a deceptively simple preparation of red beans braised to perfection in coconut milk, with hints of onion and garlic. The second Richard DeShantz Restaurant Group to open this year, Fish nor Fowl is also one of the group’s most ambitious projects to date. Opened in the space that formerly housed Kevin Sousa’s Salt of the Earth, this beautifully-designed restaurant is a bona fide hit -- and for good reason. The menu, while thoughtfully arranged, is rather hard to classify (by design). Asian and Italian influences are readily apparent, but the kitchen staff (led by executive chef/partner Dan Carlton) aren’t bound by any one cuisine, which makes for a truly unique dining experience. 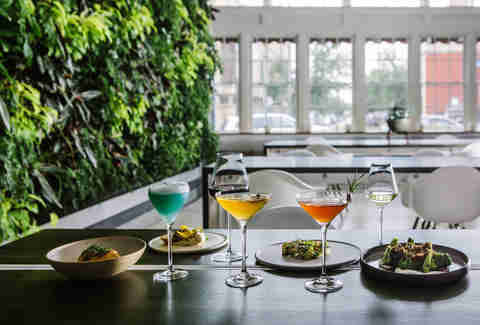 Take special note of the inventive cocktail program at Fish nor Fowl, which upends traditional notions of what a libation can be with drinks like the Blue Algae Mezcal, and the Cocoa Old Fashioned. After years of providing Pittsburgh restaurants with out-of-this-world breads, artisan wholesale bakery Mediterra Bakehouse has created a space to showcase their baked goods and more, in the form of a casual-yet-stylish café. 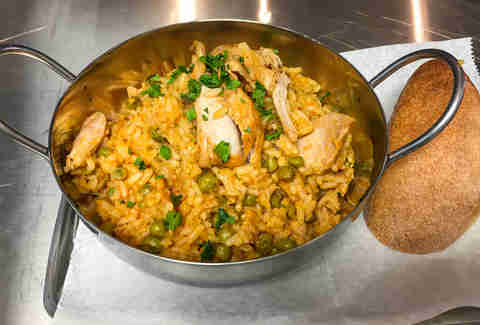 The menu at Mediterra Café relies heavily on the show-stopping breads that made the brand famous, served in the form of sandwiches made with sesame semolina and sprouted spelt breads, and pizza that’s made with a 96-hour dough. Seasonal salad bowls and cheese/charcuterie boards round out the daytime menu, and in the evening, a selection of conserva like grilled octopus and sardines with piquillo are the stars of the show. Elsa Santos, a native of the Portuguese islands of The Azores (which you absolutely must visit), has brought her homeland’s cuisine to Pittsburgh in a spectacular way. While the restaurant’s décor is quiet and comfortable, the menu is bursting with dramatic flavors. Traditional Azorean dishes, including complex casseroles with octopus and salted cod, and Feijoada, a Portuguese stew with beans, pork, chorizo and sweet potatoes are the restaurant’s must-get items. Finish your meal with an order or two of pasteis de nata, the famous Portuguese egg tarts. You’ll also find a small selection of imported Azorean goods for sale, including piri piri, sardines, and olive oil. After operating as a pop-up taco stand for a few years, Zack Shell and Kat Muscianesi’s Baby Loves Tacos finally got a permanent home in Bloomfield this year. 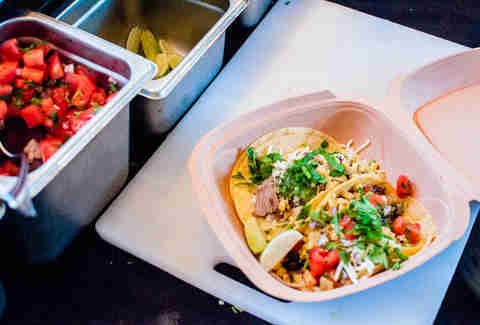 The tiny taco joint has a small counter, but it's mostly is run as a takeout, where hungry crowds gather daily to get their fill of the duo’s tacos, burritos, burrito bowls, and salads. While specials rotate in and out daily, the restaurant recently introduced a new standing menu, with always-available favorites like Buffalo Cauliflower and Carne Asada, in an effort to streamline the operation and expand their (once-limited) hours. Be forewarned, though: Baby Loves Tacos continues to sell out regularly, so if Baby is hungry for some tacos, Baby's gotta get there early. 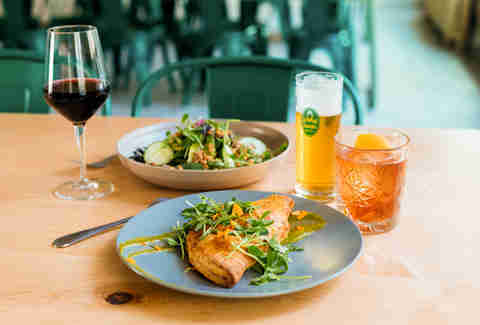 There’s a lot to love about Lorelei, from the Alpine-inspired cocktail menu to the lager-forward beer list, but the food is what really shines at this East Liberty spot, the third restaurant from the owners of Hidden Harbor and The Independent. Led by executive chef Jamilka Borges and pastry chef Dianne DeStefano, the small menu features both classic beer hall offerings, like a Bavarian pretzel with bacon-kraut cheese spread, and more unexpected delights, like hearty braised lamb pie, with tamarind and meat chutney. DeStefano’s dessert menu serves as proof that she’s one of Pittsburgh’s brightest culinary stars, with playful treats like delicate lavender-almond tea cakes sharing menu space with richer bites, like German Chocolate Cake.